Backyard Aquaponics • View topic - Kelp powder? The place we bought our system recommended using kelp powder mixed with water. What does this to for the plants? Post subject: Re: Kelp powder? 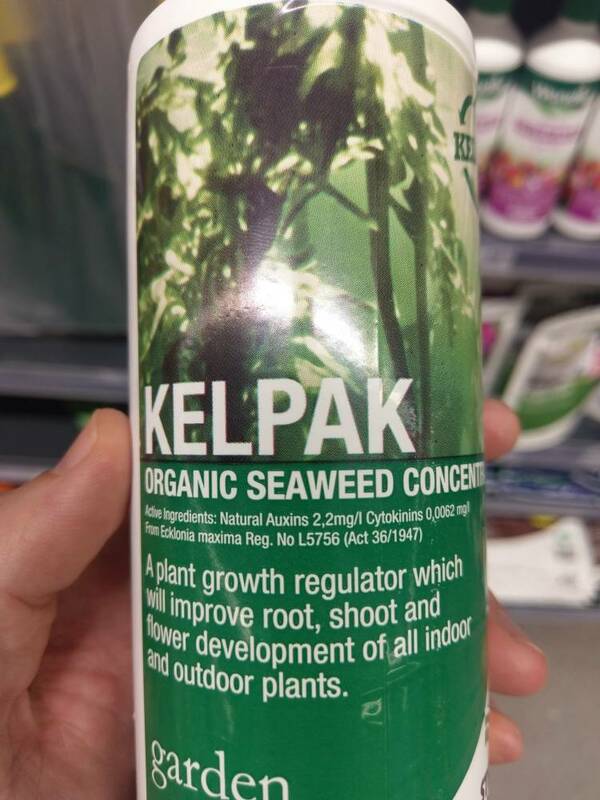 Depends on the kelp powder but usually they provide growth promoters and often 1 or 2 percent potassium. Most people here do use some version of this. How would one best add the kelp extract? I have one litre of kelpak available for my IBC system. Any advice on suggested application methods or dosage rates for seaweed extract? This is a different type of seaweed than what you'd find in Seasol or Maxicrop so if I were you I'd go with a spray application using the concentrations listed on the label. You may have to adjust the volumes based on what I saw looking at their label. I'm not sure how the label on yours reads but the one I looked at gave volumes of kelpak diluted in 20 to 50 gallons and then spray applied to an acre of plants. Just mix smaller quantities but keep the ratio of Kelpak to water the same, then spray apply to the plants. If you are using it just for adding trace elements and a bit of Potassium to an established system, and not for cycling, then people commonly use the Seasol brand available here in Oz, at 1x capful (about 15-20ml) per 500L of system water, per week, for leafy greens. If there are fruiting plants in the system, then 2x capfuls (30-40ml) per 500L, per week, does the job. Thanks for the replies. I am actually still awaiting delivery of the Kelpak, so will view the label once I receive it. As you mention, from what I've been able to find online the recommendations are all for large scale farming enterprises. 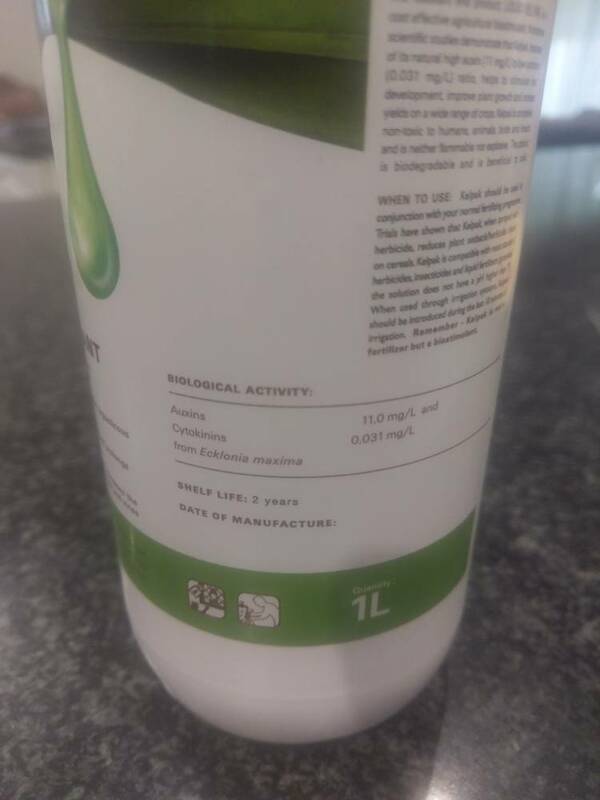 It seems a foliar spray mixed at 0.2% is recommended for my type of use (based on this site https://hydroponic.co.za/hydroponics/kelpak/). 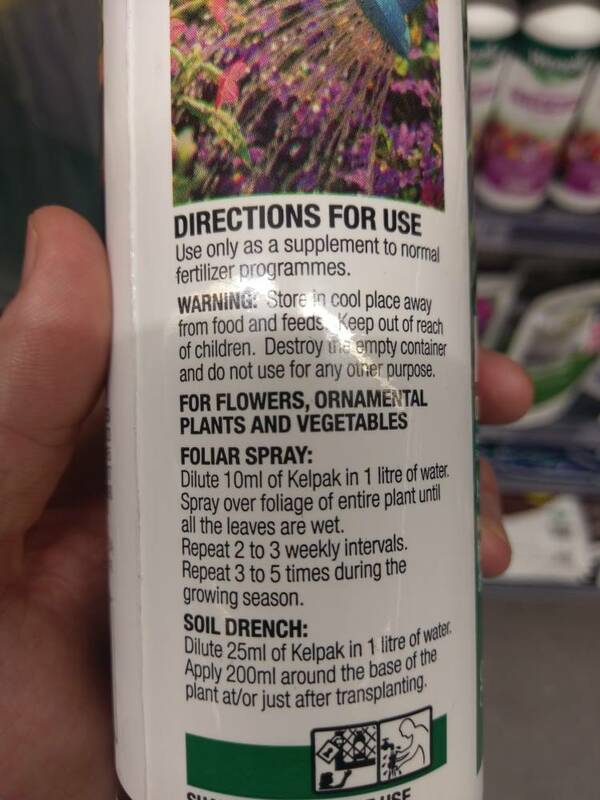 Would it work better as foliar spray, or adding it to the water? I'd go with the spray but it shouldn't make much difference. Be careful about figuring the right concentration if you add it directly to the system water - since this is more likely to have an effect on the fish you may want to go lower at first - I doubt that it will have any damaging effect unless the concentration is way way off. I have kelp locally available, does anyone think it would be worth trying to diy a kelp based supplement? And what would be the best way to do it? I'm not sure what concentration you should use and it's likely you'll have a lot of variation between batches. Be careful not to put too much on. 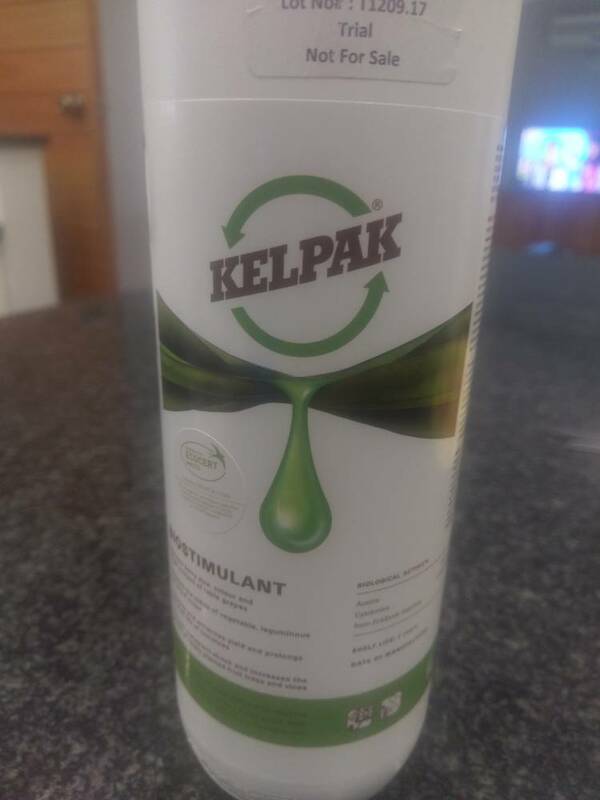 For others who might read this thread, there are 2 Kelpak products. One is for commercial use and one for retail. The commercial one is 5 times stronger / more concentrated, so keep that in mind when calculating application ratios. Did you know if someone try to add natural kelp powder with fish feed ?